The tightening of U.S. sanctions against Iran and the administration’s objective to restrict its oil exports could be causing internal strife among Iran’s leadership and leading the country to seek new economic ties. In light of the increasing economic pressure, Iran’s economy and finance minister Farhad Dejpasand met on March 18 with Chinese officials for bilateral talks on boosting economic ties. 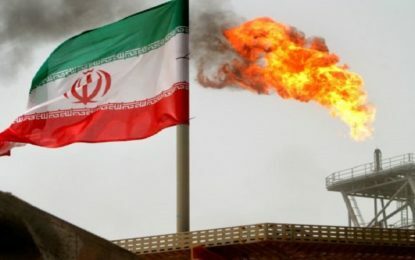 The United States seeks to cut Iran’s crude exports by 20 percent to below 1 million barrels per day starting in May, two sources told Reuters this month. 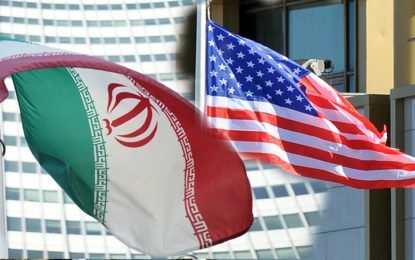 In addition, the U.S. said that Iran lost $10 billion in oil revenue due to sanctions, a State Department official announced on March 13. In a March 17 op-ed in Arab News, Majid Rafizadeh wrote that Iranian President Hassan Rouhani’s surprise visit to Iraq this month sought to increase economic ties in light of the increasing U.S. sanctions. The Iranian rial has continued to dive and dropped another 30 percent since the beginning of the year, noted Rafizadeh. Amir Toumaj, an independent Iran analyst based in Washington, D.C., told JNS that Iranian Foreign Minister Javad Zarif’s resignation stunt, where he resigned only for Rouhani to reject the move, was meant to push back against being marginalized. It was speculated that Zarif resigned after he was kept out meetings with visiting Syrian President Bashar Assad. 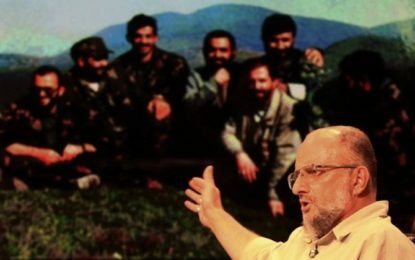 “While it may have somewhat stabilized Zarif’s position, it won’t meaningfully change the fundamental dynamic of foreign-policy decision-making, which is dominated by supreme leader Ali Khamenei and the IRGC,” said Toumaj. After Zarif said that money-laundering was pervasive in Iran, he was attacked by officials at the highest levels, and Rouhani did not defend him, added Toumaj.